The Indian economy is on the cusp of bouncing back from the crunching slowdown of the past few years, which offers excellent opportunity for long-term investors - With many comprehensive measures announced in the budget to spur economic growth, the finance minister has walked the tightrope of managing fiscal prudence and getting economic growth back on track. By assuring the markets of more clarity on tax-laws and portfolios inflows, and raising allocations to the infrastructure segments that need it the most such as roads and agriculture, the Budget has laid the ground work necessary to spur the economy. It’s a well-balanced budget given the challenges of a slowing economy, weak monsoons and rising oil prices internationally. In what I would like to term as big 'power positive' for the economy and market is that the Budget’s has gone some distance in making cheaper funding available to infrastructure. By doing away with SLR and CRR requirements for long-term infrastructure investments, the Budget has clearly benefited many PSU banks, which have been big lenders in the infrastructure segment. On the other hand, it will ensure that infrastructure funding becomes cheaper as the benefits of the reduction in costs will get passed on. Another reassuring move is to put more money in the hands of the people. The tax concessions given to the middle-class will go some way in alleviating inflation pressures. At the same time, by raising limits for investment in tax saving instruments, the Budget will certainly help channelise money into financial instruments such as equity and debt. This will help investors shift towards financial savings away from real estate and gold. Equities, however, are not cheap now with most sectors in the fairly valued zone, barring the consumer sector which looks overvalued. At current market valuations, look at equities with a three-year horizon. There’s still a lot of opportunity in sectors such as infra, banking and select mid-caps, but clearly the short-term is priced in. With the economy bound to recover sooner or later, we believe equities make a strong case as the top compounding asset class. Dr. P Nandagopal, CEO - IndiaFirst Life Insurance Company Ltd.
"The budget has been realistic, cautious and has attempted to draw a long term road map. More capital is always welcome and the industry can leverage both technical as well as financial capital. Raising the FDI cap in insurance, increasing the Income Tax slab, uniform KYC norms and single demat account for all financial transaction, increase in infrastructure spending and mobilising of small savings are measures that we believe will lead to sustained growth in the long term." "The way I see it, the budget is well balanced between growth, moving money in the hands of the people, as well as channelizing savings into financial products. This includes PPF as well as the increase in Section 80C limit. In that sense I think its growth oriented budget. As far as mutual funds are concerned, one positive is increase in Section 80C limit which may essentially get money into equity schemes, which are ELSS scheme where incremental money could come in, which is positive. As far as the change in long term capital tax in fixed income products, it would encourage investors to come in longer term saving. I would assume that FMPs as an asset class would lose attraction for short term and will come largely on the longer term. So, anyone with money for this category, would need to come in for three years"
"Overall our belief is that the budget has been an excellent and pragmatic budget keeping the overall scenario in mind. Sticking to a good fiscal deficit number, adequate focus on manufacturing and infrastructure, willingness to listen on retrospective taxation and foreign investment promotion, all of this augurs very well for our economy and capital markets. Mutual Funds are a capital market animal and hence before we get into specifics of what was said or not said about mutual funds, we must note that if our economy and markets are likely to do well, mutual funds as a service provider are bound to do well. It is a very positive budget for equity investors considering the buoyancy in capital markets and boost to economic performance that the budget brings"
"In terms of what budget has offered to the MF industry there is limited direct offering except that sec. 80C investment limit has been increased and potentially some more money may flow to tax planning schemes. The announcement for correcting the tax arbitrage of investing in debt mutual funds vs investing in bank deposits or debt securities directly, is a big one. In the near to medium term, it could potentially result in outflows from some segments of investors who have a investment horizon under 3 years and who are also in the high tax bracket. To the extent that mutual funds benefited from concessional rate of taxation vis-à-vis other instruments, the competitive edge goes down. But at the same time, active management of funds and ability to generate additional return by playing an asset-liability duration mismatch, benefits of liquidity and ability to bring in some credit spreads can not be taken away. As it stands now, MFs will have to compete with other fixed income alternative purely on merits of investment management capability instead of a direct tax concession". "Another way to look at this is that a lot of long term money which went into fixed income mutual funds only because of tax concessions will now be more willing to explore equity investments. In cases where the time horizon is not long enough for equity, I expect some of the short term money in the one to three year bucket to move into arbitrage funds". Mr. Bhargav Dasgupta, MD & CEO, ICICI Lombard GIC Ltd.
"The budgetary measures clearly focus on kick starting growth while adhering to fiscal prudence. It is specifically positive for the insurance sector with FDI composite limit being increased to 49%. This will bring in much needed long term capital which can be effectively channelized to increase penetration and reach". A positive budget overall but negative for fixed income funds - The maiden Union Budget from the BJP led NDA government was high on expectations and widely eagerly awaited. It also came against a backdrop of high inflation levels, slowing economic growth, burgeoning fiscal deficit and stalled infrastructure investments. Although there was very little scope for bold measures, the budget did announce several reforms. Overall, I believe the budget is positive, comprehensive and targets inclusive growth. The Finance Minister follows a middle path between promoting measures that will expand the economy and fiscal consolidation. The government has retained the fiscal deficit target of 4.1% for the current year and committed to reduce the deficit to 3% by 2016-17. The budget is very focused on bringing back growth through kick starting key pillars of the economy specifically infrastructure, manufacturing and agriculture. A higher allocation towards more development oriented plans suggests more productive asset creation. The infrastructure space has seen higher outlays across sectors such as developing the 15,000 km gas pipeline which will allow access to domestic and imported gas, new airports and roads, renewable energy projects and waterways. The roads sector received major boost with more than 8,500 kms of highway construction in this year. Moreover, the government has allocated Rs 500 crore for 3P India, a new institution being proposed as an agency that will recraft and renovate the public private partnership model (PPP). In the agriculture sector, the government is aiming at a sustained growth rate of 4% in agriculture. As such, the government has set aside a target of Rs 8 lakh crore for agriculture credit in this financial year and will also provide finance to landless farmers through Bhoomi Heen Kisan. Giving paramount importance to the manufacturing sector, the government intends to establish seven industrial cities and also allow manufacturing units to sell products through retail and e-commerce. This will provide the much needed push to the sector and also help create more jobs. In a first time move of sorts and almost along the lines of a sovereign wealth fund, the government announced a setup of Rs 10,000 crore for startups. It is also heartening to know that defence and insurance sectors will see increasing investments as FDI investments limits have been increased from 26% to 49% with Indian management and control. This on one hand would contribute to overall security of the nation and on the other hand help insure a larger part of the population. The Capital Markets segment has incentives for REITs, bank capitalization and offshore funding (ADR/GDR). The government has proposed liberalizing the ADR/GDR regime for depository receipts and also proposed allowing international settlement of Indian debt securities. It seems that bringing more retail investments is a key area of focus and towards that end its focus is on uniform KYC, single demat accounts and financial inclusion through providing banking services to every household and also open two bank accounts which will be eligible for credit. Further with a bid to increase foreign portfolio investments into India, the government issued clarification on tax regime for Foreign Portfolio Investors whose portfolio managers will be based in India. The income would be charged as capital gains instead of business income which attracted higher taxes. The proposal to extend 5% withholding tax to all bonds instead of only infrastructure bonds held by FIIs will encourage liquidity in the bond market. However, the budget has been disappointing for the domestic debt fund investors. The effective tax rates on dividends declared by debt mutual funds has increased marginally by 5% as has the holding period from 12 months to 36 months. Moreover, long term capital gains will be taxed at 20% instead of the earlier 10% though indexation benefits continue to be available. Nonetheless, fixed income funds continue to be important from an overall asset allocation perspective in investor’s portfolios and from a long term perspective are even more attractive than bank deposits. The budget proposed to provide necessary incentives for REITS which will have pass through for the purpose of taxation and introduce a modified REITS type structure for infrastructure projects as Infrastructure Investment Trusts, which would have a similar tax efficient pass through status, for PPP and other infrastructure projects. We are awaiting further details to evaluate how these trust structures would work. On the banking front, the government has allowed banks to raise long-term funds to finance infrastructure with minimal regulatory obligations and also raise capital through diluting the government stake by selling equity to retail investors. Individual tax payers stand to gain on many fronts. The exemption limit has been raised to Rs 2.5 lakhs (Rs 3 lakhs for senior citizens) and the limit on long term savings ie Section 80C has been increased to Rs 1.5 lakhs. The PPF limit too has been increased to Rs 1.5 lakhs. I believe the increase in limit of Section 80C will encourage savings and bring more investments into various financial instruments. Home owners also benefit as tax benefit for loan interest repayment on a self occupied property has been increased to Rs 2 lakhs. The budget reiterated commitment to Goods and Services Tax (GST) but did not lay down any timelines for implementation of the same). Similarly, the government mentioned about committing to providing a progressive tax system and formation of a high-level committee to deal with retrospective taxation. Overall, I believe that the ask was big against a tough economic environment. The budget has rightly focused on the key sectors such as infrastructure, agriculture and manufacturing to help create more jobs that would contribute to overall economic growth and is a positive for markets particularly equities. 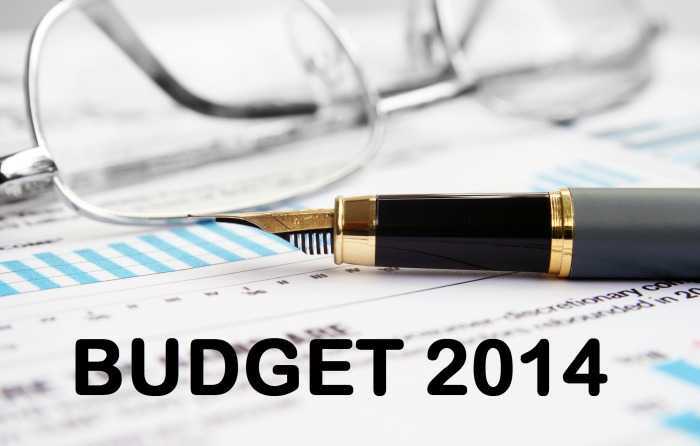 The Union Budget has a strong undertone on fiscal prudence and continuing along the path of fiscal consolidation. The finance minister has provided a fiscal deficit target of 3.6% for FY16 and 3.0% for FY17. However, this is quite an ambitious target, and it remains to be seen how it is achieved over a period of time. While the FY15 Gross Market Borrowing is pegged at Rs. 6 tn, which is close to the interim budget estimates provided in February 2014. However, the plan expenditure estimates for FY15 is almost 27% higher over actuals of FY14. Debt markets were volatile during the day and yields moved up marginally across the curve. Financial sector regulators to take early steps for a vibrant, deep and liquid corporate bond market and deepen the currency derivatives market by eliminating unnecessary restrictions. Extended liberalized facility of 5% withholding tax to all bonds issued by Indian corporate abroad for all sectors. Also with an extended validity of the scheme to June 30, 2017.
International settlement of Indian debt securities. The banks will be encouraged to raise long term funds for lending to infrastructure sector. Overall, the sentiment in the debt markets appears to have been impacted by the heightened pre-budget expectations on the reforms front. There has been mixed reaction, as the budget focused on various steps to revive the economy, but lacked to provide enough clarity on the steps intended to control inflation and fiscal consolidation. We continue to be a bit cautious on the fixed income markets, and expect it to be volatile, especially on the longer end of the yield curve. We are more positive on corporate bonds and on the shorter end of the curve presently. The equity markets were quite volatile during the day, and finally closed in the red. Certain sectors like realty, utilities, and metals, benefited from the budget. Small and mid-cap stocks also managed to outperform during the trading session. Hike in FDI limit in insurance to 49% will provide the much needed capital infusion to the sector from foreign players. An accommodative and predictable tax regime for foreign portfolio investors (FPIs) will provide comfort to them, and probably lead to higher interest levels for long term investment commitments. A boost to infrastructure sector will also be beneficial to revive the investment cycle once again. The budget also emphasizes on measures on enhancing domestic coal production and adequate supply of coal to the existing power plants. This will be beneficial to the power sector. We believe that valuations are still reasonable for the markets on an aggregate level, although some individual sectors may be overvalued/undervalued at this juncture. We also believe that corporate earnings have bottomed out and the market valuations will reflect earnings recovery. With economic growth expected to pick up gradually, most of our portfolios are positioned to play on this economic recovery. Mr. Gopal Agrawal – CIO, Mirae Asset Global Investments (India) Pvt. Ltd. The Budget is a Balanced Budget with something for everyone. However the Budget numbers are aggressive on revenues and are much dependent on buoyant capital markets. The fiscal deficit for FY15 was left at 4.1% of GDP versus 4.6% in FY14, a positive surprise because of market expectations that the deficit target would be revised higher, taking into account unpaid subsidy bills. The government expects nominal GDP growth of 13.4% in FY15 versus 12.3% in FY14. Disinvestment will play a key role in financing the deficit with INR 634bn (0.5% of GDP) penciled in. Net tax revenue is budgeted to rise 16.9% y-o-y in FY15 vs 10.2% in FY14, which may be difficult because of only a gradual growth recovery. Hence, some slippage on tax revenue is possible, which could be offset if the government targets even higher asset sales. Greater focus on investments, measures to attract capital inflows and measures to boost household disposable income (through higher exemption and tax deduction limit) are positives. Our overall macro view remains positive. A lot of the work pertaining to faster clearance and state-level co-ordination should happen outside the budget. Growth indicators are pointing to a gradual recovery. The key take away from the budget is that the government is keen to move on a path towards fiscal consolidation and focus more on investments, which bodes well for a gradual improvement of India's macroeconomic fundamentals. Major impetus to infrastructure funding — Banks can now lend to infrastructure projects with minimum SLR / CRR requirement and priority-sector lending norms. Double taxation on investment trusts has been done away with. As a result, a number of infrastructure assets (e.g. roads) with steady cash flows can raise cheaper funds. Renewed focus on industrial corridors and SEZs — Government will develop new SEZs at JNPT and Kandla ports. Apart from this, the preparatory work will be started on several industrial corridors – Amritsar – Kolkata, Chennai – Bengaluru, Bengaluru – Mumbai, Vizag – Chennai etc. The Sectors which will benefit from the Budget are Real Estate, Construction and Infrastructure, Cement. Shoe makers and some banks will also benefit. The Sectors which will be negatively impacted are NBFC.